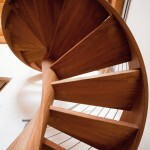 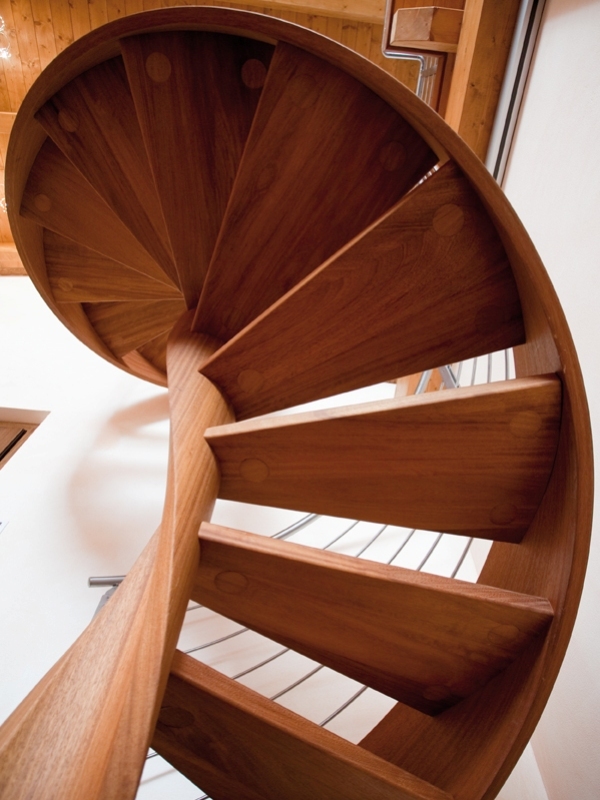 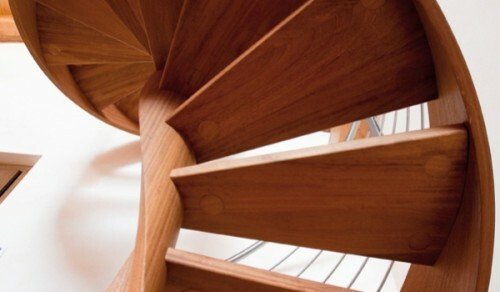 Round-based wooden spiral stair made of iroko solid wood, light walnut finish. 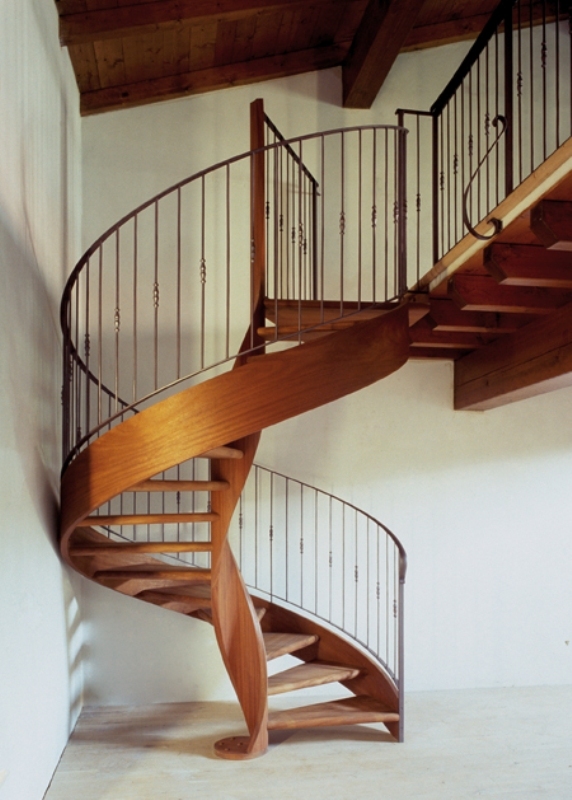 OLD banister: 1 helix wooden stair, steel columns OLD type on flat iron, steel handrail with semi-round plate, square-sectioned steel newel posts, ringlet at the beginning of the staircase. 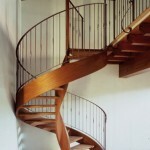 All painted with embossed glaze, metallic black finish.